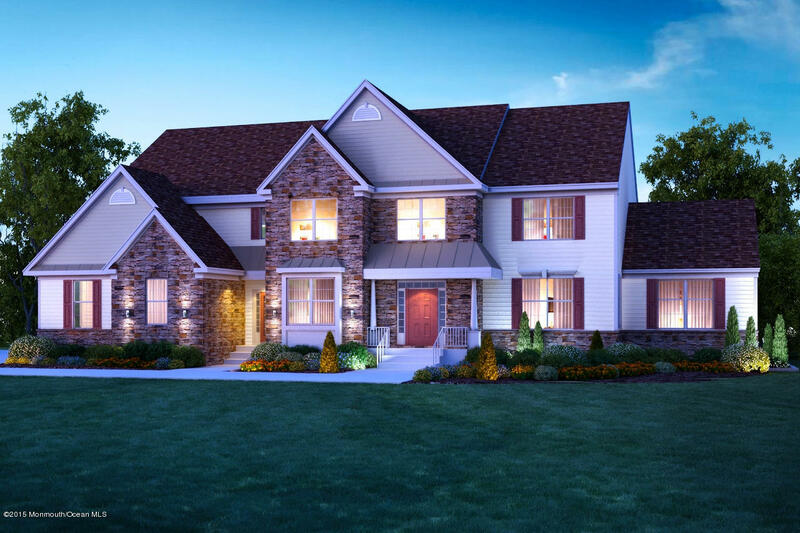 The Leyton is the largest ofthe models at ''Estates at Robbinsville''. Dramatic angled front staircase anchors a grand floor plan which includes lg rooms & unique spaces as a walk-in pantry& china closet. A second front entrance and an optional staircase from the garage to the basement are unique to this model. Private front study, formal LR&DR w high ceilings enhancethis homesopen, airy feeling. Large kitchen features a center Island & an adjacent breakfast area opening to the 2 story family room w gas fire place and access to a convenient rear stair. Upstairs, lavish Master Bedrm suite feature roomy walk-in closets, lg & luxurious master bath w soaking tub. Other highlights include a powder room off the foyer "princess suite", J&J bath plus convenient 2nd story Laundry Room.